We had a wonderful relaxing beach vacation last week. A mix of sun, clouds and rain, just like I like it. The clouds and the rain give me a “break”…a good excuse to curl up on the sofa with a book and stop going so fast. Anyway, on our last day on the beach, my dear husband informed me that the trusty umbrella, our protector from the harsh sun’s rays, the umbrella that I am always in charge of carrying (since he is carrying everything else) did not make it home the day before. Which meant that I had LEFT it, the poor little defenseless umbrella was left to the ravages of the ocean’s waves all night alone. 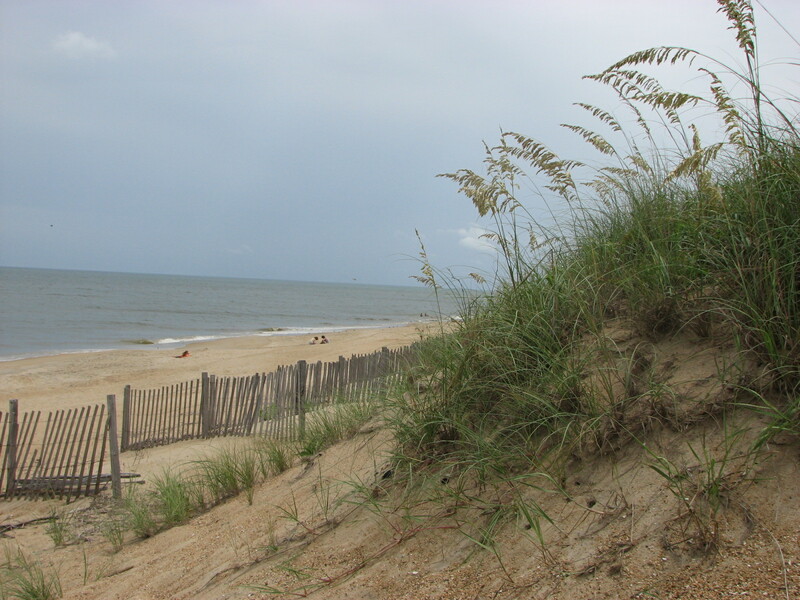 We scoured the beach house, the dunes, the decks, the stairs in vain…no umbrella. Meanwhile, I am feeling low and pitiful for myself…not only did I forget the only thing I was in charge of, but the sun was beating down unmercifully and I could practically feel myself burning despite my sunblock. As I sat in the beach chair, I sent my daughter on one last “scouting” expedition down the beach to see if she saw it. And lo and behold, there it was…lying in the sand incognito. We reclaimed/asked the nice man whom it was sitting with if he had found it, and Presto! He gladly gave it back to us. This entry was posted in Family, Humor, Life, Photography, Travel, Uncategorized and tagged beach, family, humor, Life, Outer Banks, sun, Travel, vacation by lyonsroarforgod. Bookmark the permalink. Beautiful Lisa! We have to treasure each gift, and person, and day God gives us. It’s great that He remembers us, even when we forget things or Him in life!! Glad you found your umbrella and had a great trip w/family. I just bought the SAME umbrella with Tyler at the end of our beach trip. Cool! Wow…that is amazing! 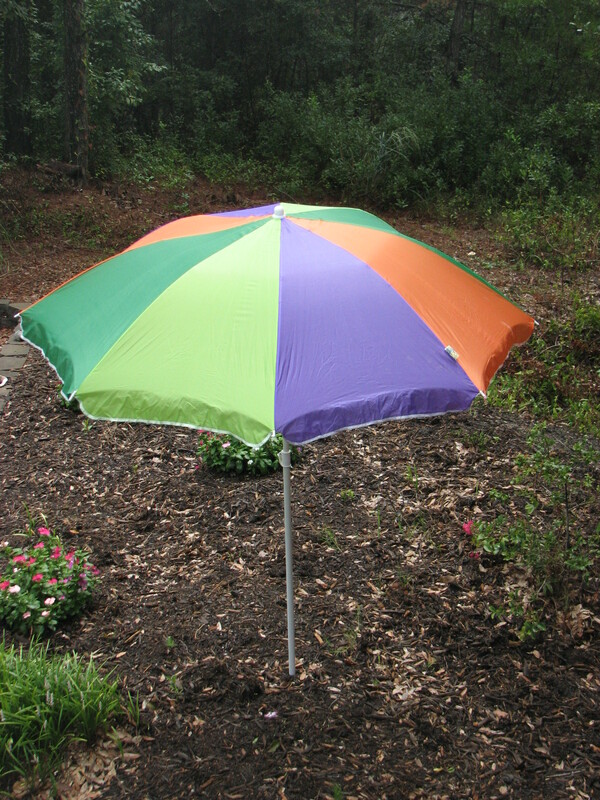 Then again, it is an extraordinary umbrella. 😉 Thanks for writing, Liz. Shine on.